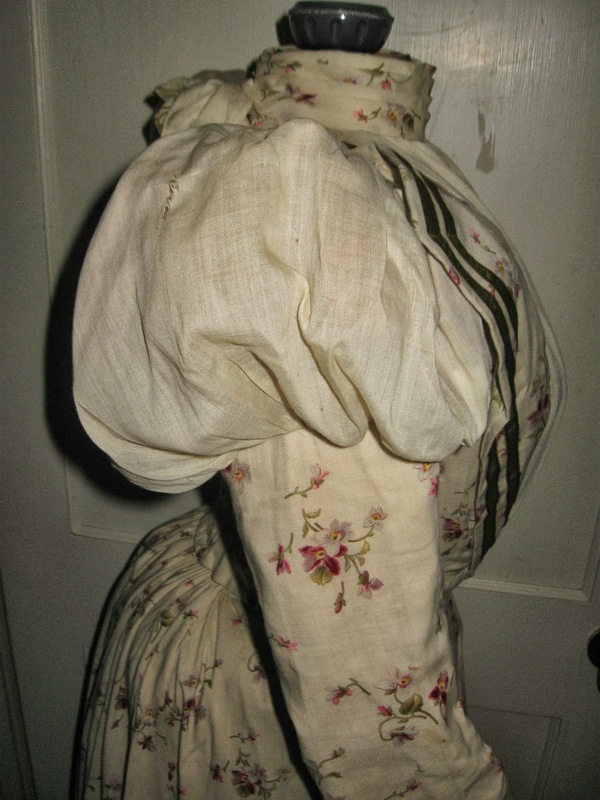 For your consideration today, we have a Victorian bustle dress that screams gay 1890's. 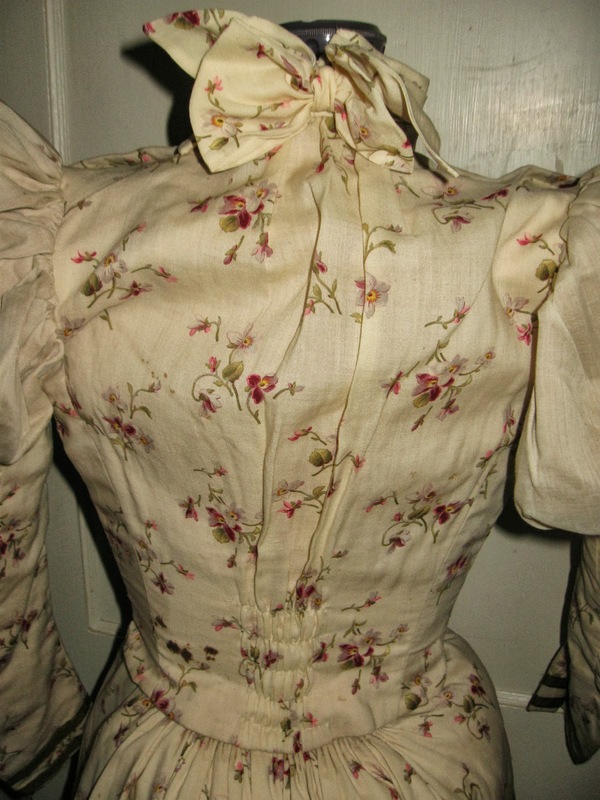 this two piece set is made of a floral fabric that looks like violas. The top has stays sewn into the fabric. 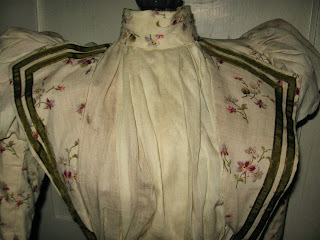 It has long sleeves with green trim at the cuffs, that is the same green that lines the sides of the bodice. In the center is a gathered cream colored fabric, with the floral fabric that goes around the neck, with a bow closure in the back. The tops of the sleeves have a big puff on the shoulder. It is fully lined. The skirt buttons at the waist and is gathered in the back to accommodate the bustle, and is fully lined. This set displays nicely but does have some condition issues. 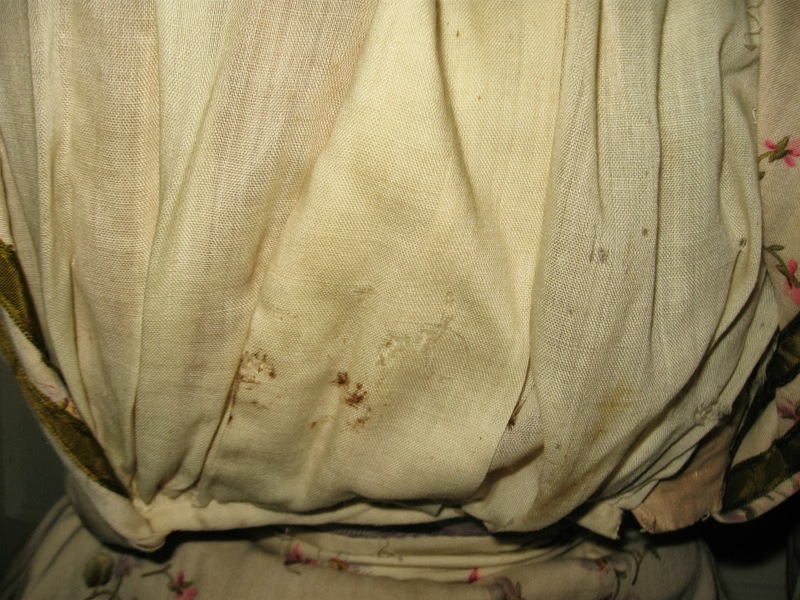 The fabric is probably cotton and although it is strong, it has soiling, spots, and scattered insect damage. 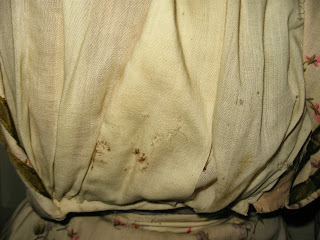 The cream fabric on the sleeves and center of the bodice have insect damage also. 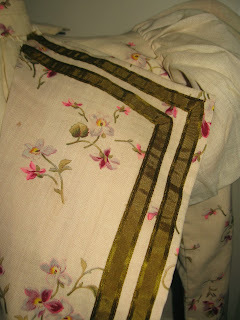 The skirt has a spill spot in the front, and the insects have eaten away some of this area that you can see in the pictures. There are hooks and eyes missing here and there. The dress needs to be cleaned. All in all, even with the flaws, this is a nice looking set. This is very Turn of the Century. My guess is about 1898 or so.